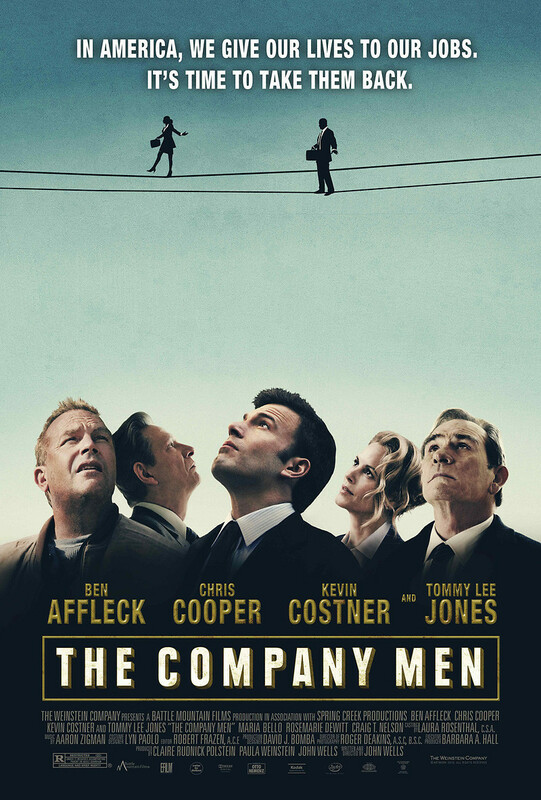 The Company Men DVD and Blu-ray release date was set for June 7, 2011. Bobby Walker's identify as a successful man is wrapped up in his lucrative job, his good looking family and the toys he can collect like the sports car in his garage. But when Bobby and fellow co-workers Phil and Gene are given pink slips in a gigantic corporate downsizing, all three men must redefine just who they are now as men, husbands and bread-winners. Bobby is now on a voyage of self discovery of what meaning life has since there are no more business deals to chase after, and he learns a lot about himself not only from sessions scheduled with a life coach but also when he sets out to help his brother-in-law with a project constructing homes.